2011 will arrive within minutes. “Endangered Wildlife”, the final Swarovski SCS Club trilogy, will be concluded as we Swarovski crystal fanatics anxiously await the arrival of Swarovski 2011 SCS Polar Bear Siku to our displays. The Swarovski 2010 Annual Edition was the Tiger. The Swarovski Tiger retailed for $450. Swarovski also offered separate tiger cubs to its Swarovski SCS members. The Swarovski Standing Tiger Cub retailed for $180. The Swarovski Sitting Tiger Cub also retailed for $180. The Swarovski 2010 Annual Edition Tiger, Standing Tiger Cub, and Sitting Tiger Cub were designed by Elisabeth Adamer. The Swarovski video on youtube briefly shows the Swarovski designer and how she began he journey into the development of this Swarovski figurine for the Swarovski Crystal Society members. Crystal Exchange America commonly has additional information about the 2010 Swarovski Tiger. Since I like felines, both domestic and wild, I’m delighted with the design and that I have the 2010 SCS Tiger in my Swarovski crystal collection. Happy New Year to all Kristall Buzz readers and Swarovski collectors! Since 2011 is only hours away, I thought this was a good time to rejoice and remember the final Swarovski trilogy, “Endangered Wildlife” and look forward to the new Swarovski 2011 SCS Polar Bear Siku. The Swarovski Gorillas were the 2009 Annual Edition pair. The 2009 Annual Edition was the Swarovski Gorillas. The SCS Gorillas were packaged with a mother and young cub. Swarovski also offered a separate cub to its Swarovski SCS members. The gorilla set retailed for $475. The separate gorilla cub retailed for $180. Now, a year after the SCS Gorillas retired, it does seem that this Swarovski crystal annual edition is still popular with Swarovski collectors. For transactions completed in December, 2010, the Swarovski Gorillas are closing at prices from $350 – $600. The Swarovski Gorilla cub transactions were not plentiful and completed transactions were below original retail price. The Swarovski 2009 Annual Edition Gorillas and Gorilla cub were designed by Anton Hirzinger. The Swarovski video on youtube briefly shows the Swarovski designer and how he was inspired by gorillas in their natural setting. 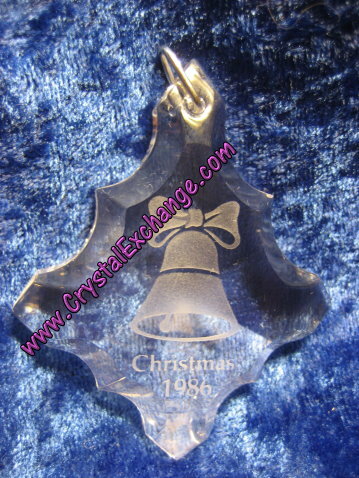 Crystal Exchange America commonly has listings for the 2009 SCS Swarovski Gorillas. I’m pleased that the SCS Gorillas from 2009 are a part of my Swarovski crystal collection. The Swarovski trilogy, “Endangered Wildlife”, is the final trilogy for Swarovski crystal SCS members. With 2011 literally right around the corner, I thought this was a good time to celebrate the last series made and make ways for the new Swarovski SCS Polar Bear Siku. The 2008 Annual Edition was the Swarovski Pandas. The SCS Pandas were packaged with a mother and young cub. Swarovski also offered a separate cub to its Swarovski SCS members. The panda pair retailed for $450. The separate panda cub retailed for $180. Now, two years later, it does seem that this Swarovski crystal annual edition is selling for prices higher than original retail. For transactions completed in December, 2010, the Swarovski Pandas are closing at prices from $650 – $800. The Swarovski Panda cub transactions are completing in the price range of $225 – $275. This is good news for Swarovski crystal fanatics who may have purchased duplicate sets of these crystal figurines. The Swarovski SCS 2008 Annual Edition Pandas and Panda cub were designed by Heinz Tabertshofer. Swarovski created a video, where I found it on youtube, that shows the Swarovski designer and how he was inspired by pandas in action. 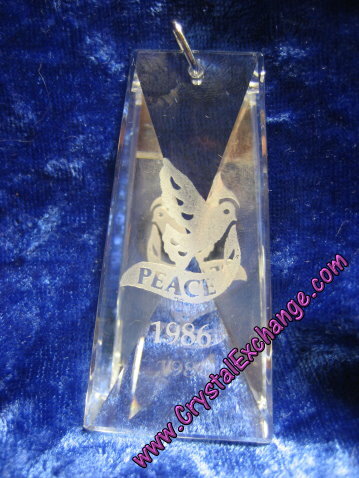 Crystal Exchange America frequently has listings for the 2008 SCS Swarovski Pandas. The Swarovski SCS Pandas from 2008 are annual editions that I am happy to have in my Swarovski crystal collection. Along with the discovery of the Swarovski SCS 2011 Annual Edition Polar Bear Siku, I found pictures and prices for the companion pieces the Swarovski Polar Bear Cubs. Based on what the other retailer sites show in their store, Swarovski is offering a pair of polar bear cubs to Swarovski SCS members. The polar bear set will be available in 2 different crystal varieties: a pair in ‘crystal moonlight’ and a pair in ‘white opal’. I’m not certain as to the differences in the finishes. I think it would be nice to have one polar bear cub in ‘crystal moonlight’ and one polar bear cub in ‘white opal’, but I seriously doubt there is a mix-n-match option. Per the sites I found, it is reported that the retail price on a single pair of Swarovski polar bear cubs is $350 or $390, depending on the site. Swarovski crystal fanatics will likely want to purchase both sets of Swarovski polar bear cubs to go along with the Swarovski 2011 Polar Bear Siku. But WOW! It is hard to imagine forking out $1200 – $1300 (USD) for Swarovski annual edition figurines. To my surprise, I found a couple of sites, that I believe to be authorized Swarovski retailers, with information on the Swarovski SCS 2011 Annual Edition. The 2011 SCS Annual Edition is a Polar Bear Siku. It is packaged with a title plaque and retails for $490. The Swarovski system number is 1435051. I did not find details on the size. To purchase the Swarovski Polar Bear Siku from an authorized retailer, a Swarovski SCS member will be required to have an up-to-date membership. It should be possible to begin placing orders for this new SCS annual edition at the beginning of 2011. For Swarovski collectors who like the SCS Polar Bear Siko, Swarovski has also retired some other polar bears that may be of interest: Swarovski Nanuc Polar Bear and Swarovski Large Polar Bear . Both of these Swarovski Polar Bear figurines can be found at the retired Swarovski dealer Crystal Exchange America. Happy Holidays from the Kristall Buzz! Swarovski hosted four weekend events, which began in mid-November, selling limited edition jewelry This was the second necklace pendant that sold out. It would be neat to see Swarovski do this weekend event special featuring a special crystal figurine just before Valentine’s day??? The world renowned crystal company mentions names of the five new Swarovski men’s jewelry collection lines: Nano, Newton, Nevada, Nightfall, New England, and Mooncarbon. Each line focuses on different personalities and embellishing on different elements of a men’s accessory line. Good luck Swarovski…hoping this is a true hit. Perhaps in the future we’ll see a line designed for teen girls in terms of appeal and price! Swarovski has announced another exclusive online Limited Edition Swarovski Lion King set. This special is for some of the Lion King characters and a Sunset Display. The Lion King characters included in this promotion are Timon, Pumbaa, and Simba. Mufasa is NOT included. Swarovski does not mention a price for this Limited Edition set on their web site. It does indicate that the set should be available for purchase beginning January 4, 2011. Avid Swarovski Crystal collectors should make sure they are receiving Swarovski’s email for the most advance notice on the set becoming active online. However, all this is not good news for Swarovski crystal collectors in the USA, as this offer is not extended to residents in the USA. It is open to Canadian residents, so perhaps collectors will have a friend owing them a favor to get their hands on this. More information is available on the Swarovski Limited Edition Lion King Set at the Swarovski web site and the Swarovski press center. I found my first glimpse of the newest future Swarovski limited edition member of the Swarovski Lovlots: Charming Mo. Swarovski Charming Mo is about 3 ¾ tall, and is reddish in color. She sports a removable heart charm celebration the 5th anniversary of the Swarovski Lovlots collection. White hearts are printed on the lower leg area of the figurine. Swarovski system # is 1089201. Retail price on the 2011 limited edition Charming Mo is $245. Charming Mo is the Lovlots limited edition figurine for 2011. I’m liking the Mo’s, and this one looks like a cutie. The Swarovski Crystal Society sneak peek for this upcoming release of Lovlots Charming Mo is at the Swarovski web site. There’s more information on Swarovski Charming Mo at the Crystal Classics web site. Charming Mo won’t officially be available until January, 2011. However, it appears that Crystal Classics is accepting pre-orders, so if you’re wanting to be one of the first to own this Lovlots piece, this might be the site for you! December 7 was the final Swarovski Crystal inventory update for the year. This last update includes new Swarovski crystal listings and price reductions incorporated for the holiday shopping season. The majority of the store inventory is retired Swarovski and limited edition Swarovski figurines. Among the most exciting news are price reductions for the Arribas Jeweled Mickey Mouse. This Mickey Mouse figurine is a limited edition collectible, with only 10,000 produced in 1997. He’s a very cute item liked by both Swarovski crystal collectors and Disney collectors. We also have a listing for the Swarovski Limited Edition Pink Duck. This pink duck is part of the Happy Ducks series and was a limited edition for the breast cancer awareness foundation. 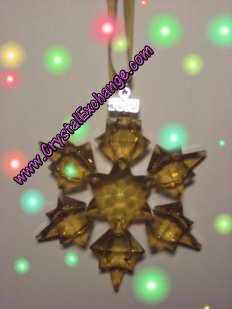 Additionally, we have Swarovski Ornaments 2010 as well as the SCS Swarovski Ornament 2010. 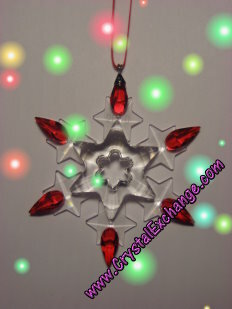 We have a lot of Swarovski ornament listings for crystal ornaments, Swarovski Stars, and Swarovski Snowflakes. We have them from 1981 through 2010. 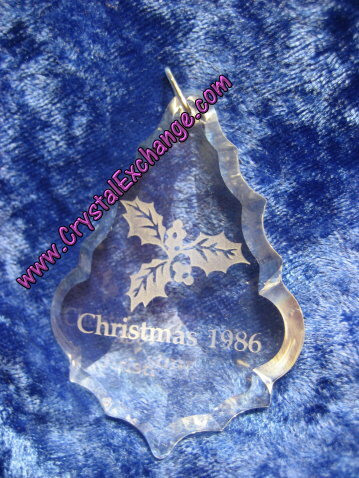 We also have Crystal Memories Angels, Kris Bear Annual Editions, Trimlite Ornaments, and some other holiday issues that are Swarovski Crystal. 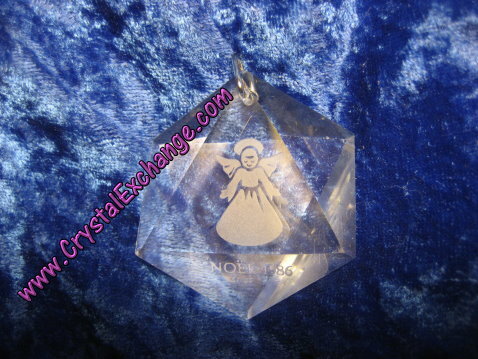 Happy Holidays to our Swarovski fanatics friends from Crystal Exchange America and the Kristall Buzz! Today, I received a discount Swarovski voucher via email. The Swarovski coupon is valid for 20% off a purchase of $160 or more and is valid for most countries that offer Swarovski shopping online. Act quickly with your purchase…the Swarovski coupon is good only thru December 16. While the voucher does appear to have some exclusions (SCS crystal items in particular), it does appear to be valid on Swarovski Silver Crystal, Swarovski Crystal Moments, and Swarovski Jewelry. So be sure to check your email before doing your shopping at the Swarovski web site. 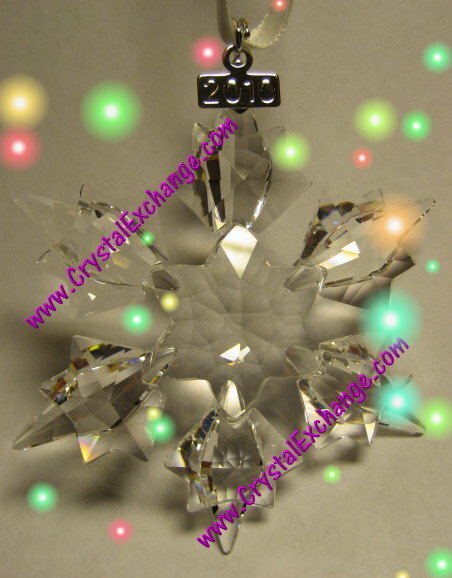 Happy Holidays to our Swarovski fanatics friends from Crystal Exchange America!